More than 2,500 years ago, horse riding nomads expanded their cultural realm throughout the Eurasian steppe from Southern Siberia to Eastern Europe. 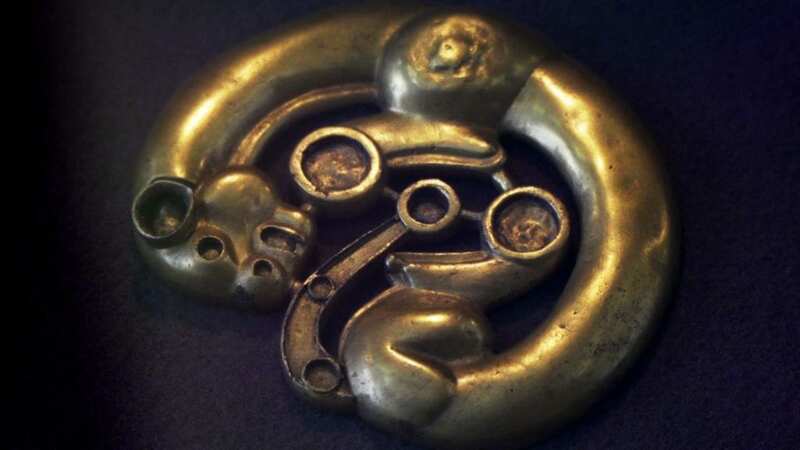 These tribes had in common, that they buried their dead in large burial mounds often together with elaborate golden jewellery and weapons of superior craftsmanship. Most of the organic materials are lost forever, but objects made from metals survive the millennia. Often made from bronze and gold, these treasures attract looters. During the colonization of Siberia in the 18th century, looting even became a seasonal job when gangs of diggers, sometimes up to 300 strong, excavated burials from spring to autumn each year. To transport the metals more easily, the prehistoric artworks were often molten down right at the site where they had been found. It has become increasingly difficult to find unlooted tombs. The prices for archaeological objects from these burials, however, have seen a vast increase. Gino Caspari from the Institute of Archaeological Sciences at the University of Bern analyzed the condition of burials in a difficult-to-access region based on high-resolution satellite imagery. These data help to assess the degree of destruction inflicted upon the archaeological heritage. “We specifically chose an area of interest in Xinjiang, China. We assumed that, due to the remoteness and the heavy presence of security forces in the region, we would find a higher proportion of intact tombs”, Caspari explains. However, this assumption proved to be wrong: “More than 74.5 percent of the analysed burials were already destroyed and plundered”, says Caspari. Through conducting an on-ground survey, the researchers managed to show that high-resolution satellite imagery can provide an accurate measurement of the destruction at a particular site. Using time series of different datasets, looting can be effectively monitored. Caspari analysed data going back to 2003, and found out that since then the number of looted tombs increased substantially. “The last untouched archaeological sites of the ancient steppe nomads are under imminent threat”, says Caspari. The research, published in the journal Heritage, allows for a consequent monitoring of archaeological heritage in remote regions of Central Asia. When looting at a site is recognized in an early stage, measures for the protection of the tombs can be put in place.